What does Jeordie mean, details, origin, short & easy attributes? Origin of the name George: Derived from the Greek geÅrgos (earthworker, farmer), which is composed from the elements gÄ“ (earth) and ergein (to work). From A World of Baby Names by Teresa Norman.Buy the book. Jeordie is baby boy name mainly popular in Christian religion and its main origin is . Jeordie name meanings is Earthworker, farmer. Other similar sounding names can be Geordie, George, Jordy. Each letter meanings in Jeordie Name. Popular personalities with Jeordie Name. Twiggy Ramirez is an alternative rock, industrial rock, alternative metal, industrial metal, and heavy metal music musician. They plays Gibson Thunderbird, Fender Precision Bass, Music Man StingRay, Steinberger, Gibson Flying V, and Gibson SG. They were most prominent from 1989 to present. Twiggy was given the name Jeordie Osbourne White on June 20th, 1971. 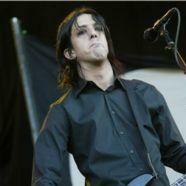 Twiggy is also known as Twiggy Ramirez.